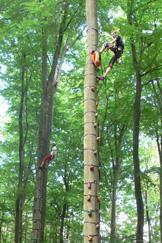 From August, we will open our climbing forest only on appointment. To make an appointment, you can either call us at 0631-8923 8923 or write a mail to info@monkeyhardware.de . For all ages, also without knowledge and without own equipment. Climbing shoes or compact footwear. Self-dependent climbing is for free with own equipment. You can also buy climbing equipment there (only cash!) or in Kaiserslautern at "Der Rucksack GmbH", Marktstraße 3-5, Tel. (0631) 67 570. 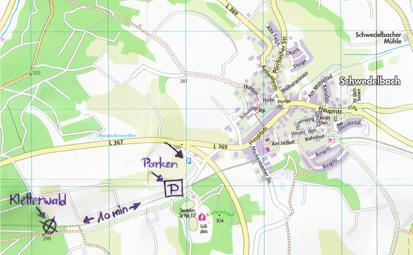 The Monkey Climbing Park is directly located at a beautiful Bike,- Wandering- and Nordic-Walking route.